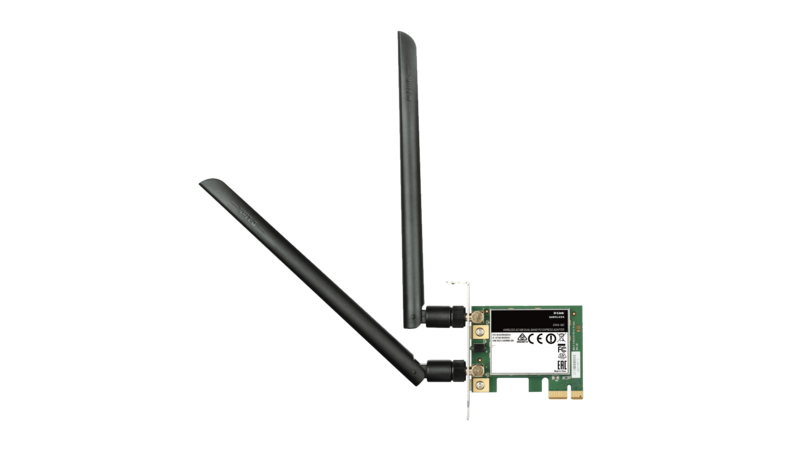 The DWA-582 Wireless AC1200 Dual-Band PCI Express Adapter connects your computer to a high-speed network and provides a blazing-fast Wireless AC connection with superior reception. Once connected, you can access your network’s high-speed Internet connection while also getting secure access to shared photos, files, music, video, printers and storage. Powered by the latest 802.11ac technology, this adapter provides high-performance wireless connectivity. Maximise performance by connecting the adapter to a Wireless AC router and stay connected from virtually anywhere in your home. The improved coverage and better speeds allow you to enjoy faster and more reliable connections throughout your home. The DWA-582 delivers dual-band technology to your computer for intelligent and versatile performance. 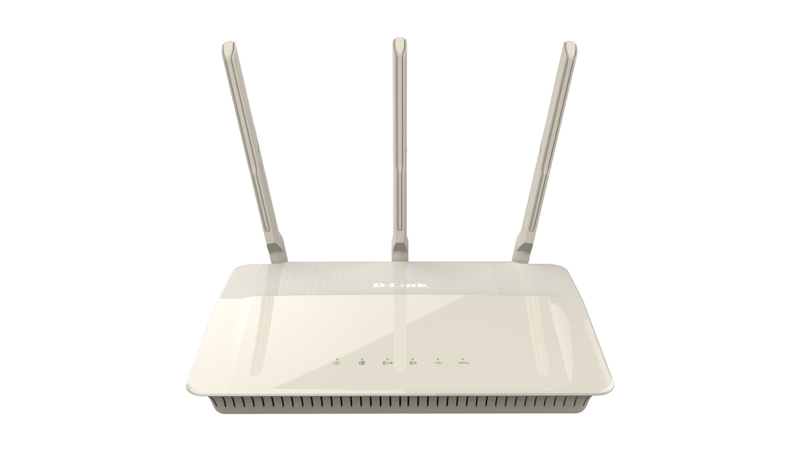 This allows you to connect using the lower-interference 5 GHz band with wireless speeds of up to 867 Mbps1 using Wireless AC, as well as being backwards compatible with traditional 802.11n/g/b technology 2.4 GHz wireless networks. PCI Express provides a high-bandwidth connection with superior performance over the legacy PCI interface. 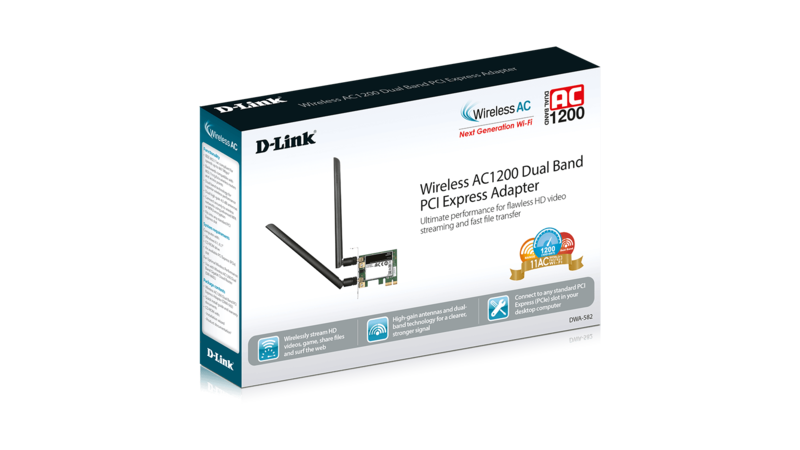 You can connect the Wireless AC1200 Dual-Band PCI Express Adapter to any PCIe slot in your computer, whether it is an x1, x4, x8, or x16 slot. The internal PCIe installation allows the DWA-582 to be installed inside your computer, reducing desktop clutter and keeping the antennas safely tucked away at the back of your computer. The DWA-582 supports WEP, WPA and WPA2 encryption which means you can connect securely to a wireless network, keeping intruders out and allowing you to browse the Internet without worry. Wi-Fi Protected Setup (WPS) support greatly facilitates the connection process, so you can set up a secure connection at the touch of a button. A quick setup wizard guides users through a simplified installation process so that you can configure the DWA-582 without having to call a networking expert for help. 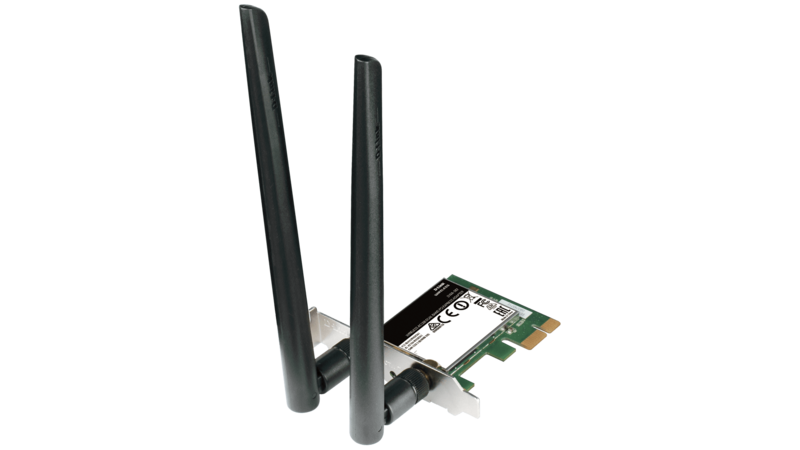 With incredible wireless performance, reception, and security, this adapter is a great choice for easily adding or upgrading wireless connectivity to desktop computers. 1 Maximum wireless signal rate derived from IEEE Standard 802.11. Actual data throughput will vary. Network conditions and environmental factors, including volume of network traffic, building materials and construction, and network overhead, lower actual data throughput rate. Environmental factors may adversely affect wireless signal range.